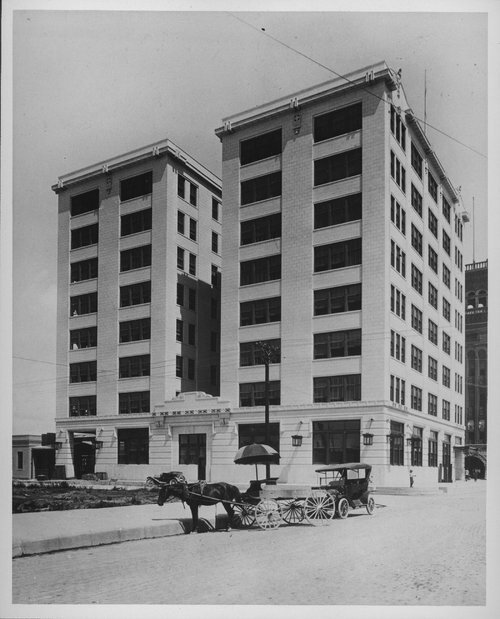 This black and white photograph shows the Atchison, Topeka & Santa Fe Railway Company's union depot and general office building in Galveston, Texas. The eight-story terra cotta and brick building was erected in 1914. In the background is the old red brick Union Depot and Office building built in 1876.